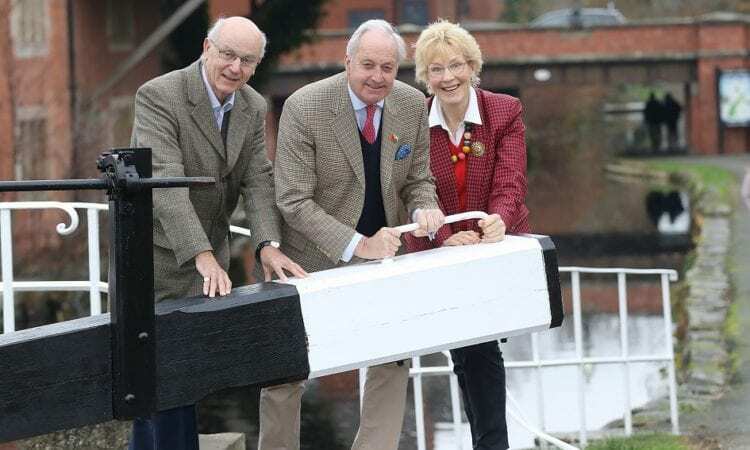 MID and West Wales AM Neil Hamilton has described plans to restore the Montgomery Canal as ‘visionary’ and has pledged his support to get the project completed. Mr Hamilton, who represents UKIP in the National Assembly for Wales, made the comments after meeting John Dodwell, Montgomery Canal Partnership chairman and Michael Limbrey, Montgomery Waterway Restoration Trust chairman, in Welshpool on Friday. Having spent three years staying at Gregynog Hall at Tregynon, near Newtown whilst studying at Aberystwyth University, he knows the area well and said he remembered the Montgomery Canal in Welshpool before it was restored. Mr Dodwell gave a presentation outlining the restoration plans, saying that approximately half of the 35-mile length of the 200-year-old canal had been restored to date. “Montgomery Canal restoration has been a visionary project for half a century which must be completed,” said Mr Hamilton. “It was fantastic to see the excellent presentation and to hear the plans. The canal has 127 listed structures and buildings and many rare plants and wildlife, which has made it a European Special Area of Conservation and a Site of Special Scientific Interest. Volunteers from across the country are working on the restoration and the Montgomery Canal Partnership has a 10-year plan to reopen the canal from North Shropshire to Welshpool, which includes work on four lowered bridges and restoration work to the Grade II listed Vyrnwy Aqueduct. Mr Dodwell estimated that the work to reopen the canal to Welshpool would cost £24 million if undertaken by contractors or £8-10 million if undertaken by volunteers. 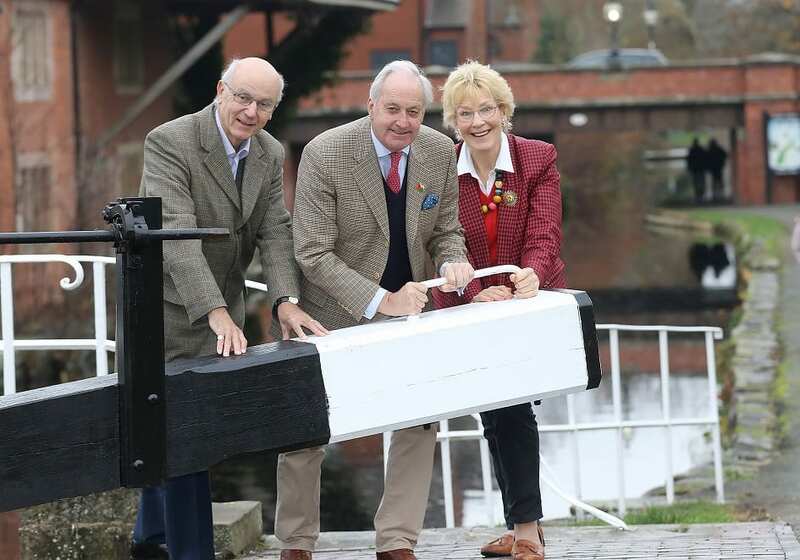 Restoring the canal completely would have the potential of generating an annual visitor spend of £5 million and would be a catalyst for wider economic regeneration in the Upper Severn valley, he said. As part of the restoration work, eight hectares of new nature reserves will be created for relocated rare plants and wildlife currently living in the canal. To underline the local and national support for the restoration work, Mr Dodwell revealed that fundraising to replace Schoolhouse Bridge near Oswestry – the last remaining lowered bridge blockage in Shropshire – had reached £250,000 towards a £300,000 target within 18 months. People wishing to donate should visit restorethemontgomerycanal.uk . Funding support will be sought from a variety of public and private sources, including Natural Resources Wales and the Mid Wales Growth Deal. Given funding, Mr Dodwell said restoration work could be undertaken simultaneously within Powys and Shropshire to speed up the project. He suggested that the reopening of the canal to the Newtown would be an ideal way to celebrate the 750th anniversary of the granting of the town’s Royal Charter in 2029. “There are real opportunities and it’s only money and engineering that we need to restore the canal,” added Mr Limbrey. 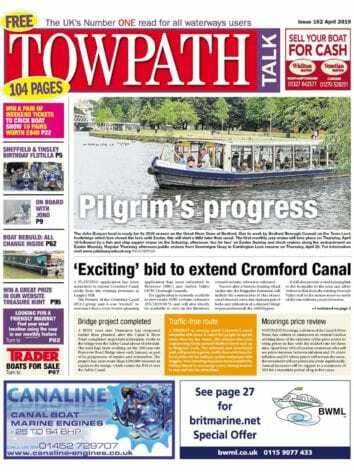 Next Post:Your December Towpath Talk is out now!